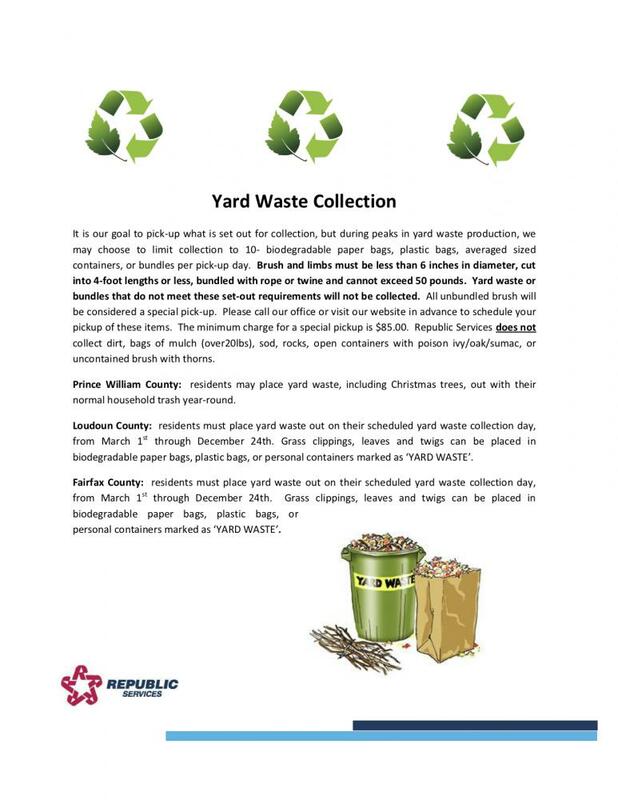 Republic Services will provide recycling containers (22-gallon bin, 35- or 65-gallon rolling cart) and household waste carts (65-gallon) for our residents at no additional cost. If you need a recycling or a household waste container, just contact Republic Services and they will bring them out to you. Our Fairland Towns HOA account manager is Cherie Parker. Please contact Cherie Parker at 571-328-7558 and request your free recycle or waste container. (ALL recycling and household waste containers still must be stored either in the garage or in the rear yard of the residence.) Please indicate that you are with the Fairland Towns HOA.